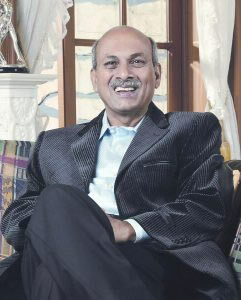 Dr.H.B.Rajshekhar assumed the office of the principal in 1985. During his tenure; the college saw vast growth in infrastructure and learning resources. He contributed substantially in the up coming of the KLE Hospital and MRC, Department of Medical Education, Digital Library and collaboration with the University of Illinois, USA. These ideas were conceived and realized during his tenure. Welfare and student support amenities were given a great emphasis by him.